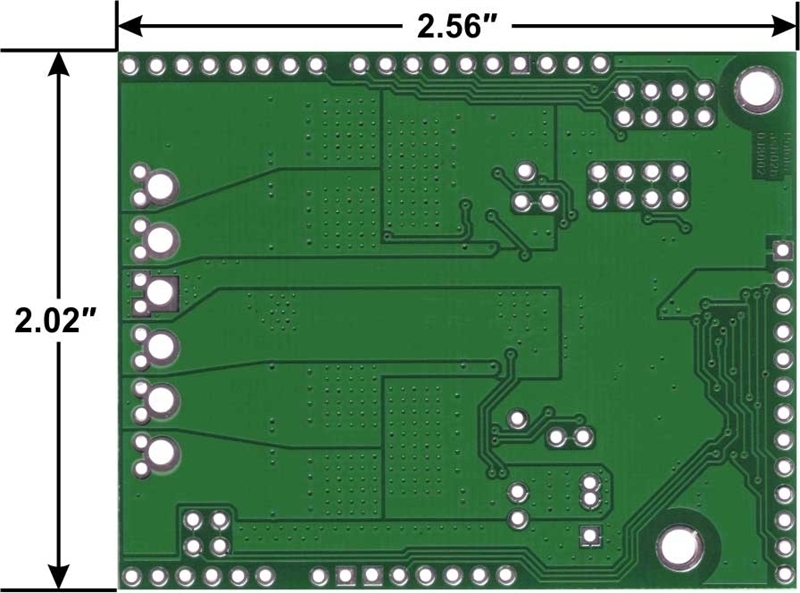 This newer version (ash02b) of our dual VNH5019 motor driver shield replaces the original version. 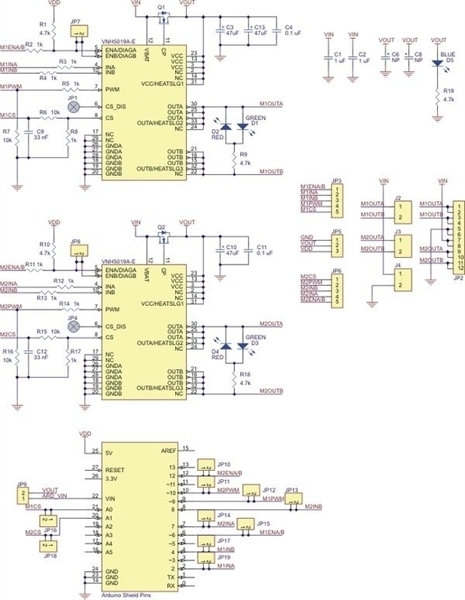 The new version adds pass-throughs for the four new pins on the Arduino Uno R3. Generally speaking, most users should not notice any other differences between the two shield versions; details can be found in this section of the user’s guide. The easiest way to distinguish between the two versions is via the silkscreen in the top left corner, where the new version is labeled ash02b and the original version is labeled ash02a. 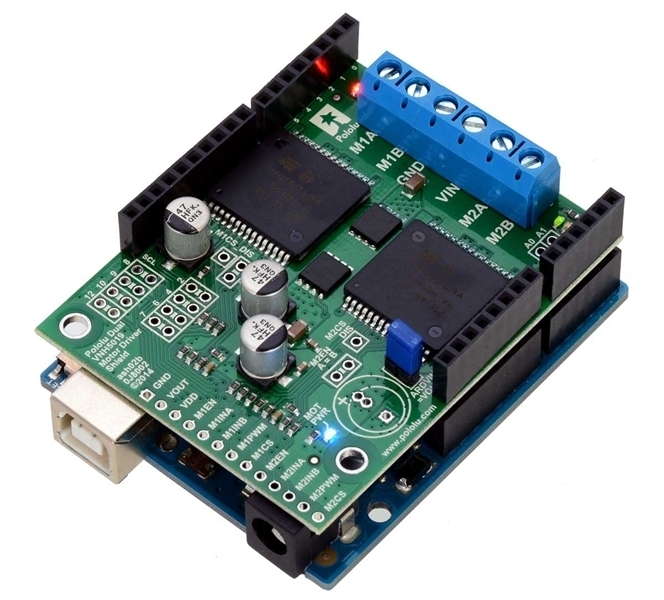 This motor driver shield and its corresponding Arduino library make it easy to control two bidirectional, high-power, brushed DC motors with an Arduino or Arduino clone. 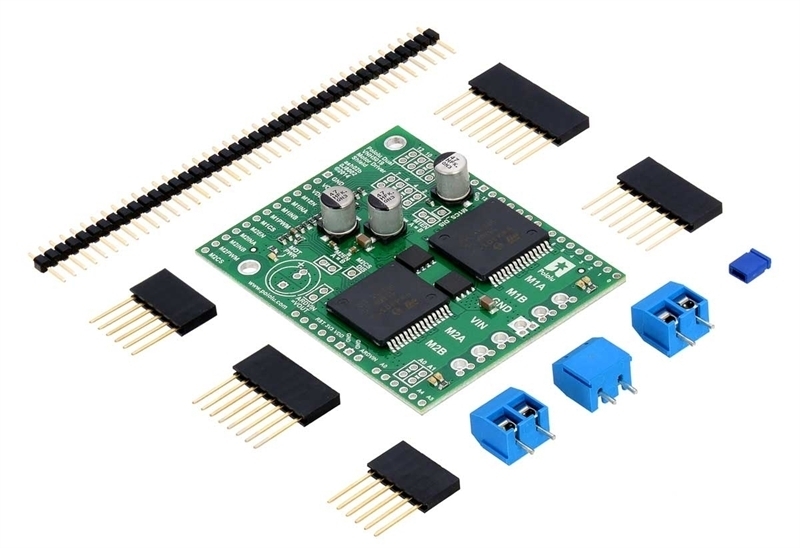 The board features a pair of robust VNH5019 motor drivers from ST, which operate from 5.5 to 24 V and can deliver a continuous 12 A (30 A peak) per channel, and incorporates most of the components of the typical application diagram on page 14 of the VNH5019 datasheet (629k pdf), including pull-up and protection resistors and FETs for reverse battery protection. It ships fully populated with its SMD components, including the two VNH5019 ICs, as shown in the picture to the right; stackable Arduino headers and terminal blocks for connecting motors and motor power are included but are not soldered in (see the Included Hardware section below). 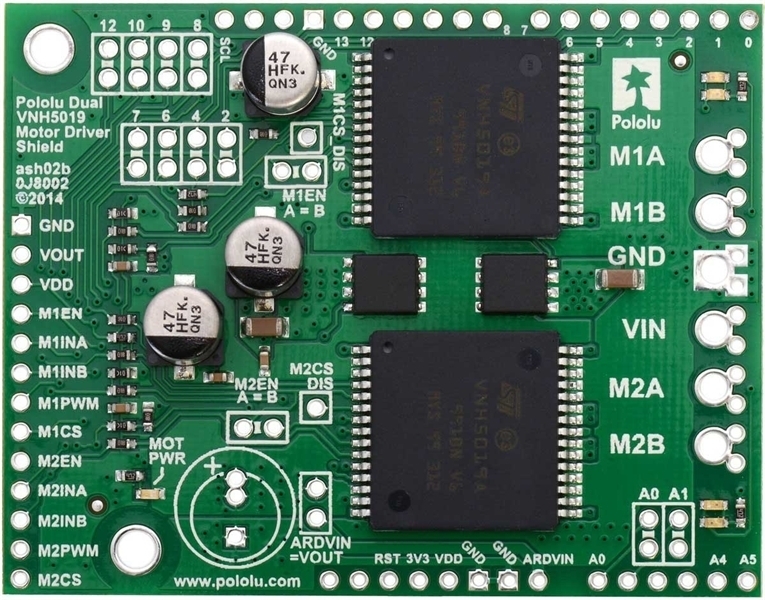 For a lower-power, lower-cost alternative to this shield, please consider the Pololu dual MC33926 motor driver shield, which has a very similar design and can deliver a continuous 3 A per channel. 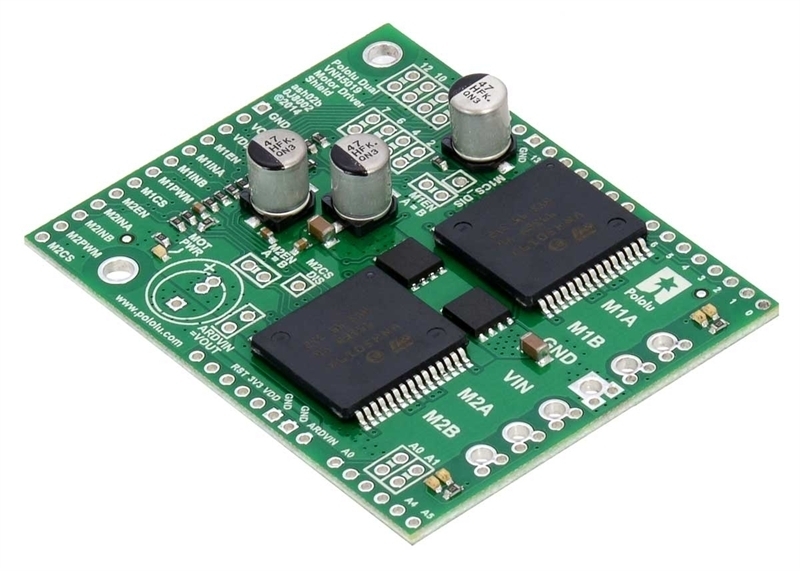 ** While the overvoltage protection typically kicks in at 27 V, it can trigger at voltages as low as 24 V, so we do not recommend using this motor driver with 24 V batteries, which significantly exceed 24 V when fully charged. If the shield is configured to power an Arduino or Arduino clone, the supply voltage must conform to that Arduino’s input voltage requirements.